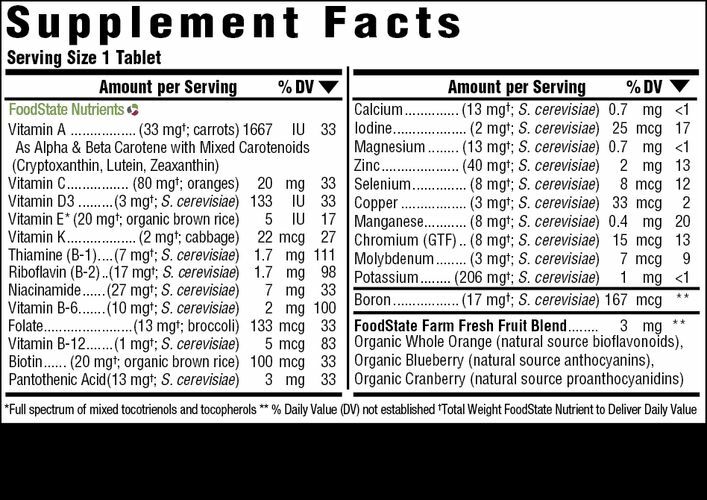 A comprehensive multi-vitamin formulated by a mother for children ages 5 and older. FoodState Nutrients™ are made with fresh and local foods. Crafted with the Slo-Food Process™, they deliver the most authentic nourishment available, which MegaFood believes the body recognizes as 100% whole food. 1 tablet daily. May be taken anytime throughout the day, even on an empty stomach. This product is recommended for children five years of age and older. © Copyright 2019 Professional Supplement Center, LLC, 5441 Palmer Crossing Circle, Sarasota, FL 34233. All rights reserved. Local time is 4/25/2019 2:44:58 PM.